There’s something liberating about being able to run towards something, whether you take that literally or figuratively. Just like trying to attain any goal, making it to the end point tends to be exciting, rewarding, and even motivating. However, in our fast paced lives, we don’t usually take the time to enjoy the journey itself. We tend to focus on reaching one goal and moving directly towards the next one. Our achieve all you can/goal-oriented society is one to take pride in, but when will the journey itself start to count? Lucky for me, my panting and possibly even wailing during and after the run helped me try to soak in the view and take some time to appreciate my surroundings. Aside from believing I would collapse at any moment, the journey was an exciting one (but of course not as exciting as finishing the run). But I hope that this experience abroad will help me learn to appreciate life’s journey instead of solely focusing on end-goals and accomplishments rather than the process itself. I think this is something so many of us can benefit from, but for whatever reason, we find ourselves doing otherwise. But what do I know? I’m still just trying to catch my breath. This morning, we had our second class- Español para salud mental, a course focusing specifically on Spanish for the mental health setting. Roughly sixty percent of Hispanics who go in for an initial counseling session will not return to continue services. As with many other cultures, so many Latin American countries have known roles for men and women, and unfortunately, no where does it say that one of those roles can be to focus on or believe in one’s mental health. Many people have their own thoughts and perceptions about counseling, and when you add a language barrier on top of it, why would someone seek out supportive help? Creating rapport with an individual and being able to describe what counseling entails- all in that person’s primary language is truly essential for retention of services, and for that individual to receive the help, support, and services that he or she deserves. One of, if not the most important rule in counseling is to meet the client where he or she is at. If we can’t do that, especially in an individual’s primary and native language that he or she feels most comfortable speaking in, what good will we do for that individual? 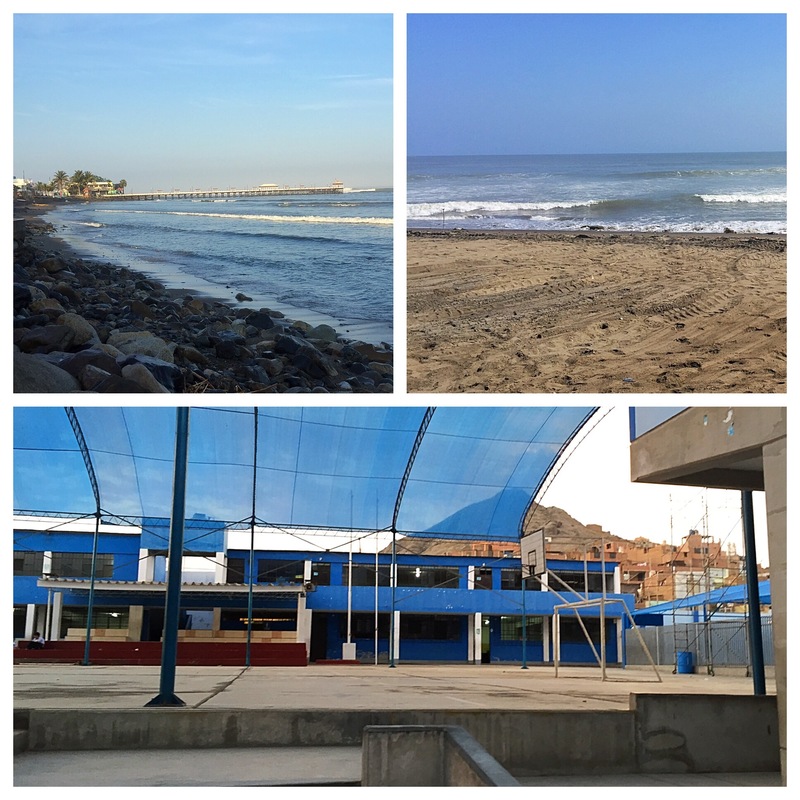 This afternoon, I started my first day of work at La Fiscalía, located in Trujillo, Peru. I had to take a bus in order to get there, but if the bus doesn’t arrive in time, you can take what is called a “combi,” or a mini bus. This sedan-like vehicle maneuvers all across the road as fast as possible, while making sure that it fits as many people as possible. Today, we were able to fit 20 people at once. I’m sure that’s no world record, but mini clown cars definitely have some competition. Upon arriving to La Fiscalía, my supervisor, another student, and I met with the director of the site and discussed what we would be doing in the upcoming weeks. La Fiscalía offers many services pertaining to juvenile rehabilitation through the court, as well as crime prevention in schools. In the upcoming weeks, another student and I will be working with 12 schools in various neighborhoods and neighboring cities, where we will be observing classroom behaviors, reactions/responses from professors, and ways in which positive and negative reinforcement as well as rewards and punishments are utilized. In three weeks, my supervisor, the other student, and I will host two workshops for professors from each school with our findings, recommendations, and opportunities to practice these skills throughout the workshop. The ultimate goal is to help the professors learn ways to reinforce appropriate behaviors (starting in the classroom), all while empowering and motivating their students. I completed my first evaluation today in the city of El Porvenir, and while I won’t get into specifics, I will say this: I was truly impressed to find that the professor whose classroom I observed has students clap for one another whenever someone volunteers and answers a question correctly in front of other classmates. And whenever a student responds with an incorrect response, the professor replies with, “Los errores se aprenden,” which is essentially the same as saying you learn from your mistakes. While this may seem minute in the scheme of things, slowly but surely, this is how you help build a child’s sense of self worth. When we focus on the end result, we miss out on the journey. And when we miss out on the journey- whether it be filled with mistakes or minor successes, we miss the opportunity to learn, grow, and enjoy the process. In 1986, Mami Leo answered a call from God to pack her belongings and move to Guatemala to help abandoned, abused, and malnourished children. With $2,700 raised by her and her prayer group, and faith that the Lord would guide her, Mami Leo devoted nearly thirty years of her life living in the mountains, nourishing, educating, and loving countless Guatemalan children in need. Over the next month, I’ll be highlighting a lot of incredible accomplishments that helped countless children in need, all thanks to one valiant and dedicated woman, Leonor Portela. Thanks to the generosity of Mr. Ernesto Townsen, a Guatemalan businessman, the Sagrado Corazon School was opened on site in 2000. This elementary school has since provided an education, uniforms, school supplies, and transportation for children from the surrounding areas. The Sagrado Corazon School also has a marching band, which consists of numerous students with immense talent. To date, the band has won countless awards and has not only made the city proud, but they have made us proud as well. The school not only provides children an opportunity to receive an education and learn to become active members in a society that might not have allowed for such an education, but it instills confidence in each and every child in attendance. And the band gives the children a chance to learn a new skill and take pride in a talent they would have otherwise not knew existed. To summarize my past few posts, in 1986, Mami Leo answered a call from God to pack her belongings and move to Guatemala to help abandoned, abused, and malnourished children. With $2,700 raised by her and her prayer group, and faith that the Lord would guide her, Mami Leo devoted nearly thirty years of her life living in the mountains, nourishing, educating, and loving countless Guatemalan children in need. Over the next month, I’ll be highlighting a lot of incredible accomplishments that helped countless children in need, all thanks to one valiant and dedicated woman, Leonor Portela. By 1999, a chapel built on site at the home gave the children a place to cherish their prayers, and the first baptisms and communion took place shortly thereafter. After having survived a few years of purchasing daily supplies of water, a 705-foot deep well was built that same year, thus providing water to the home, thanks to the Rotary Clubs in Guatemala, the United States, and Canada. In case you didn’t have a chance to read the previous post with a more in-depth explanation, in 1986, Mami Leo answered a call from God to pack her belongings and move to Guatemala to help abandoned, abused, and malnourished children. With $2,700 raised by her and her prayer group, and faith that the Lord would guide her, Mami Leo devoted nearly thirty years of her life living in the mountains, nourishing, educating, and loving countless Guatemalan children in need. Over the next month, I’ll be highlighting a lot of incredible accomplishments that helped countless children in need, all thanks to one valiant and dedicated woman, Leonor Portela. In 1990, the municipality of Sumpango Sacatepequez, Guatemala donated approximately ten acres of land with several buildings that were almost in total ruin. Where some people saw deserted land, Mami Leo saw a future home for countless children from all across Guatemala. The reconstruction of the rundown buildings donated to Misioneros Del Camino began shortly thereafter, and the children couldn’t wait to see the finished product of their new home! By 1997, the home was completed, and years of building and rebuilding had finally come to a stop. The children were so excited to move into the Misioneros Del Camino site that has served as a home to so many children thus far.